GALION — Who killed the caretaker at Brownella Cottage? It’s up to you to find out. Aug. 17 and Aug. 18 are the kick-off dates for live-action Murder Mystery Clue at Brownella Cottage, 132 S. Union St. There are two sessions each night, 7 and 9 p.m. The game at Brownella was designed after the board game everyone played as kids, except the characters and suspects are real. Each player sill be provided a flashlight to navigate Brownella Cottage in the dark, determine the guilty person, the weapon used, and the room where the caretaker was murdered. The game is a very popular and a great fundraiser for The Galion Historical Society. Ticket reservations are required for each game and can be made by calling 419-468-9338. It costs $10. Cash or credit cards are accepted at check in the night of the game. Courtesy photo The cast of Clue at Brownella Cottage has some time to kill next weekend, and they’re looking for sleuths to figure out who the murderer is. 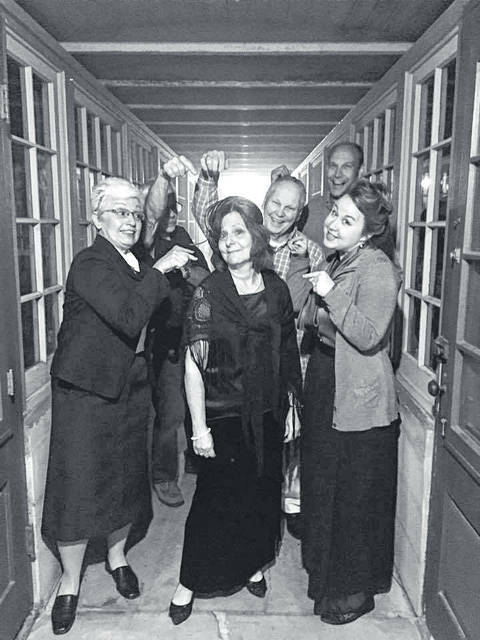 https://www.galioninquirer.com/wp-content/uploads/sites/38/2018/08/web1_CLUE.jpgCourtesy photo The cast of Clue at Brownella Cottage has some time to kill next weekend, and they’re looking for sleuths to figure out who the murderer is.